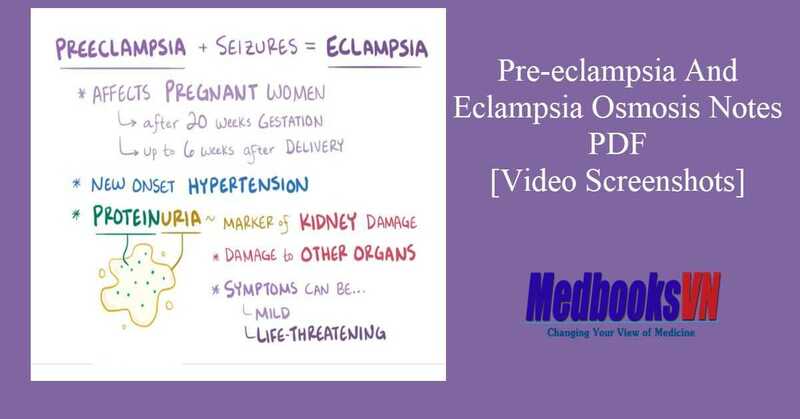 These note are screenshots from osmosis video on youtube about preeclampsia and eclampsia. Preeclampsia and eclampsia are Hypertensive complications that occur during pregnancy , they are very serious complication and need proper treatment. Preeclampsia = high blood pressure + proteinuria after 20 weeks gestation, there are mild preeclampsia (preeclampsia without severe features) and complicated severe preeclampsia (preeclampsia with severe features).